So I finally bit the bullet and went to the doctor to find out that I have an ear infection. :-\ Totally caught it from my youngest niece, but I still love her. It’s that time for my monthly favorites. I love the month of December. I love the holidays, so naturally my first favorite thing for the month is spending time with friends and family. Christmas get togethers (tons of eating, qt, and gossiping 😛 ), lunch and dinners with friends, qt with my mom and sister plus going on a cruise with my in laws. LOVE LOVE LOVE my time spent at home. For the past two Decembers, the hubs and I were greeted with snow when we went home, which prompted us to shovel. AGH! Something that we both don’t enjoy and hate about now, but not this year. So, YAY to no snow in VA.
After watching Dulcecandy’s and family friend, Dotlash’s reviews of the Lush color supplement, I had to pick it up. Mix it with some daily moisturizer and blemishes aren’t as noticeable plus your face just looks and feels refreshed. I LOVE it as much as my Laura Mercier tinted moisturizer. But I do want to add that it doesn’t have the same coverage as Laura Mercier tinted moisturizer or that of a foundation. So if you’re looking for something for more coverage, this may not be for you. While at Lush, I also picked up some lip scrub which is so necessary right now especially with the cold weather. It takes off the dead skin on your lips and makes it feel so soft. Pair it with some great lip balm and you’ll have smooth kissable lips! Griffin loop iPad stand. My hubs and sister know I carry around my iPad into the kitchen to look at recipes while cooking. Well they must have been talking to my sister in-law because she got me this loop iPad stand for Christmas. I love it! My case isn’t as sturdy as it used to be, so I have to rest my iPad on some sort of appliance or wall when in the kitchen. Now this gadget is in my kitchen for the next time I use it to create some goodies for this blog! Michael Kors watch in Rose Gold. I’ve been on a hunt for this watch and missed the Nordstrom semi-annual sale when it was almost half off! My sister and husband must have heard me talking about this watch non-stop that on Christmas day my sister gifted me with this beaut! AWWWW! She loves me. I haven’t worn it yet because I have to resize it. It’s pretty big on my tiny wrists but I still LOVE it. 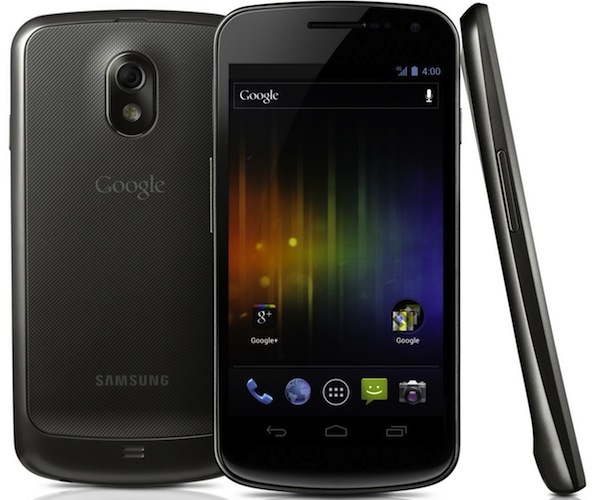 Galaxy Nexus. THE Google phone. WHOOHOO! I was so indecisive about getting this phone for about 2 weeks. The husband kept asking me if I wanted it and if I did then we’d just get each other these phones for Christmas. This was a pre-Christmas present. The phone came out on December 15th and we fell in line but thankfully the hubs reserved us some phone the day before so we were only out there for a short period of time. I LOVE it (along with all my gifts and December favorites). It’s a pretty big phone and looks like I’m holding a mini e-reader sometimes because I’m so petite. But it’s just AWESOME. I use a lot of Google products to keep myself organize, so this phone for me was a bit more beneficial than an iPhone (which I totally contemplated about getting). What were your favorite things for the month of December? What were your favorite presents? Comment below.